Last week, I kicked off the first #WheeWednesday with a song by an artist unfamiliar to many K-pop fans. This #WheeWednesday, it’s a song by a group most K-pop fans know: EXO! EXO burst onto the K-pop scene seven years ago with 12 members and the Gregorian chant of “Mama.” Now with 9 members (we still see you, Lay! ), they have become known for upbeat tracks like “Growl” (2013) and “Don’t Mess Up My Tempo” (2018). But EXO-Ls know that the group’s music also showcases the vocal talents of its members as well. “Heaven” from the group’s third album Ex’Act (2016) opens with Chen’s distinctive vocals and a lone piano. When the beat drops, Chanyeol continues the song’s easy rhythm with a laid-back rap. The track is a nice break from their dance-infused tracks. It’s a treat! Video: EXO. “Heaven.” YouTube. 8 Nov 2016. https://youtu.be/VK6-n9SyFlI (27 Mar 2019). Image: “EXO Members Profile (Name, Birthday, Weight and Religion) and Facts.” Channel Korea. 9 Mar 2018. https://channel-korea.com/exo-members-profile-and-facts/ (27 Mar 2019). K-pop is well-known for the introduction of new groups, even while established groups continue to thrive. But are fans fickle in their K-pop choices? Do they abandon older groups for newer groups? Research suggests that while K-pop fans readily accept new groups, they have a deeper connection with veteran groups. These conclusions are based on data collected online through the Hallyu Korean Music Survey, part of a five-year study on international K-pop fans by Crystal S. Anderson. This data suggests that K-pop fans are receptive to newer K-pop male groups. Nearly all of the groups not included in the predetermined list are groups that debuted after 2010. Female groups continue to lag behind, probably due to the fact that most K-pop groups that debut are male. However, established K-pop groups dominate when fans are asked to identify their favorite K-pop groups. This list mirrors the predetermined list, which suggests that the longer the group has been active, more connected fans feel to the group. Infinite has become a group that fans consistently say they like, replacing a group like BEAST/B2ST, which may have been out of the spotlight for a period of time. The notable exception is EXO, who fans identify as a group that they live and a favorite group. 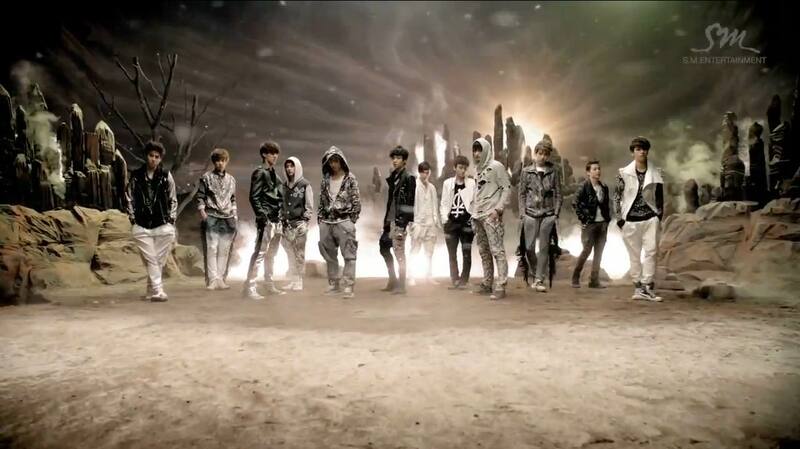 EXO debuted in 2011, and has managed to create a level of fan loyalty equal to more established K-pop groups. So, what does this mean? It seems to suggest that fans of K-pop make choices about the degree of their fan loyalty based on the longevity of the group. K-pop group longevity (or how long a group has been active) makes a difference to fans. This has long-term implications for how K-pop continues to be promoted. Agencies who focus on churning out new groups without cultivating the fandom may see less of an impact than agencies who take time to establish a long-term fan relationship between artists and fans. Such activities may include creating the fan name so that fans can identify with a particular group, creating behind-the-scene shows where fans can see artists when they are not performing, and creating other opportunities for artists to remain in the public eye, such as endorsements and television appearances. “BigBang, Love Song (Korea.com),” Hallyu Harmony, accessed July 14, 2014, http://kpop.omeka.net/items/show/347. “EXO, Promo Dark Sky (seoulbeats),” Hallyu Harmony, accessed July 14, 2014, http://kpop.omeka.net/items/show/369. Like Vs. Love: Research Reveals Degrees of Attachment Among K-pop Fans by Crystal S. Anderson is licensed under a Creative Commons Attribution-NonCommercial 4.0 International License.